The cover of a biometric Norwegian passport. Visa requirements for Norwegian citizens are administrative entry restrictions by the authorities of other states placed on citizens of Norway. As of 26 March 2019,[update] Norwegian citizens had visa-free or visa on arrival access to 185 countries and territories, ranking the Norwegian passport 5th overall in terms of travel freedom (tied with the Austrian, British, Dutch, Portuguese, and Swiss passports) according to the Henley Passport Index. As a member state of the European Economic Area (EEA), Norwegian citizens enjoy freedom of movement within the EEA. All European Union citizens and European Free Trade Association (EFTA) nationals are not only visa-exempt but are legally entitled to enter and reside in each other's countries. In order to travel to another country, a Norwegian citizen requires a passport, except within the Nordic Passport Union, where no identity card is formally required. However, an identity card such as a Norwegian driving licence is useful. Norway is part of the Schengen Area, an area comprising 26 European states that have eliminated border controls with other Schengen members and strengthened border controls with non-Schengen countries. When travelling within the Schengen Area, other valid identity documentation (such as a driving licence or EHIC card) is often sufficient. Norway is expected to start issuing national identity cards from 1 April 2018. Citizens holding a national identity card, which states EEA or Swiss citizenship, can not only use it as an identity document within their home country, but also as a travel document to exercise the right of free movement in the EEA and Switzerland. The Schengen area mostly functions as a single country for international travel purposes, with a common visa policy. Since 2001, the European Union has issued two lists regarding visas for the Schengen Area: a white list of countries whose nationals do not require visas (Annex II) and a black list of countries whose nationals do require visas (Annex I). As per Regulation No 539/2001 (amended by Regulation No 1289/2013) reciprocity is required from all Annex II countries and territories. That means that these countries must offer visa-free access for 90 days to citizens of Norway and the other Schengen member states. Visa not required to Hainan for 15 days. Freedom of movement (including Faroe Islands and Greenland). Visa free for 15 days for holders of border traffic permit. Extended visas available at the following airports: Ho Chi Minh, Hanoi, Phu Quoc, or Danang. 30 day visa exemption at Phu Quoc Island. A single entry eVisa valid for 30 days is also available. Guernsey – Visa not required. Alderney – Visa not required. Sark – Visa not required. Isle of Man — Visa not required. Jersey – Visa not required. Sahrawi Arab Democratic Republic (Western Sahara controlled territory) — Visa not required up to 3 months. Sudan — All foreigners traveling more than 25 kilometers outside of Khartoum must obtain a travel permit. Hainan — Visa not required for 15 days. Iraqi Kurdistan — Visa on arrival for 15 days is available at Erbil and Sulaymaniyah airports. Turkmenistan — A special permit, issued prior to arrival by Ministry of Foreign Affairs, is required if visiting the following places: Atamurat, Cheleken, Dashoguz, Serakhs and Serhetabat. Phú Quốc — can visit without a visa for up to 30 days. Bermuda — Visa not required for 21 days (extendable). British Virgin Islands — Visa not required for 1 month (extendable). Colombia — Visitors arriving at San Andrés and Leticia must buy tourist cards on arrival. Saint Pierre and Miquelon — Visa not required. Sint Maarten — Visa not required for 90 days. French Polynesia — Visa not required. New Caledonia — Visa not required for 3 months. Northern Mariana Islands — Visa not required. Wallis and Futuna — Visa not required. Saint Helena — Entry Permit (£25) for 183 days is issued on arrival. Antarctica and adjacent islands — special permits required for French Southern and Antarctic Lands, Argentine Antarctica, Australian Antarctic Territory, Chilean Antarctic Territory, Heard Island and McDonald Islands, Ross Dependency. Arab League — Certain countries will deny access to holders of Israeli visas or passport stamps of Israel because of the Arab League boycott of Israel. According to the Helsinki treaty, public officials in the foreign services of any of the Nordic countries are to assist citizens of another Nordic country if that country is not represented in the territory concerned. ^ "The Henley Passport Index" (PDF). Henley & Partners Holdings Ltd. 26 March 2019. Retrieved 4 April 2019. This graph shows the full Global Ranking of the 2019 Henley Passport Index. In certain cases, a rank is shared by multiple countries because these countries all have the same level of visa-free or visa-on-arrival access. ^ Travel documents for EU nationals, europa.eu. Retrieved 30 October 2015. ^ "Politiet: Nye pass og nasjonale ID-kort kommer 1. april 2018 | ABC Nyheter". 2017-01-05. Retrieved 2017-01-09. ^ ECB08: What are acceptable travel documents for entry clearance, UK Visas and Immigration. Retrieved 12 January 2015. ^ As listed in Annex II of the Council Regulation 539/2001. ^ As listed in annex I of the Council Regulation 539/2001. ^ "Nota Informativa sobre Isenção de Vistos e Permanencia em São Tomé e Príncipe". 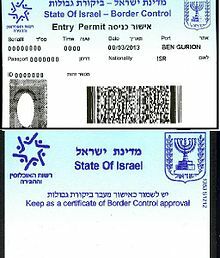 ^ "Citizen of Visa Waiver Country, wants to drive into U.S. From Canada or Mexico, or arrive at a port of call in the U.S. By cruise ship". ^ "Phu Quoc Visa | Exemptions| Requirments | Vietnam". ^ "Visa-free travel time up to ten days in parts of Brest Oblast, Grodno Oblast as from 1 January". 2017-12-26. ^ "Visa and passport requirements for visitors". ^ "Entry requirements - Western Sahara travel advice". ^ Cite error: The named reference timaticweb.com was invoked but never defined (see the help page). ^ "No visa required for tourists to Phu Quoc on short stay - Vietsea Tourist - Travel to Vietnam, Laos, Cambodia and Thailand | Vietnam Travel Tours". ^ "Entry requirements - Bermuda (British Overseas Territory) travel advice". ^ "Entry requirements - British Virgin Islands (British Overseas Territory) travel advice". ^ "Entry requirements - Cayman Islands (British Overseas Territory) travel advice". ^ "Entry requirements - St Pierre & Miquelon travel advice". ^ "Entry requirements - Turks and Caicos Islands (British Overseas Territory) travel advice". ^ "Entry requirements - French Polynesia travel advice". ^ "Entry requirements - New Caledonia travel advice". ^ "Entry requirements - Pitcairn Island travel advice". ^ "Entry requirements - Wallis & Futuna Islands travel advice". ^ "Entry requirements - Falkland Islands (British Overseas Territory) travel advice". ^ "Entry requirements - St Helena, Ascension and Tristan da Cunha travel advice". ^ "Entry requirements - South Georgia and South Sandwich Islands (British Overseas Territory) travel advice". ^ "Meld. St. 12 (2010–2011)". April 2011. This page was last edited on 7 April 2019, at 22:56 (UTC).